The start of a new school year provides kids the chance to reunite with friends, explore new activities and gain knowledge they will build on for the rest of their lives. Educators suggest that 80 percent of what children learn comes through their eyes, making protecting your children’s eyesight critical. 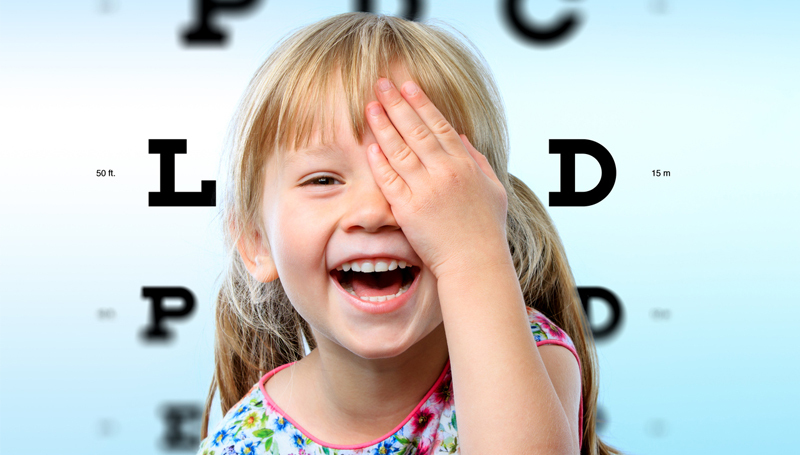 The American Optometric Association suggests all children should have a comprehensive eye exam prior to starting first grade, and every two years thereafter. Children at higher risk for vision problems – those with certain genetic conditions or developmental delays, for example – should be examined more frequently. Note that these examinations should be comprehensive eye exams, not just vision screenings. A comprehensive exam can identify eye diseases and conditions easily overlooked by a standard vision screening. Early diagnosis and treatment give your child the best chance for a strong recovery. Eye injuries are the leading cause of blindness among U.S. children. The American Academy of Ophthalmology (AAO) estimates that more than 50,000 children suffer eye injuries each year. Sports eye injuries are particularly common among children ages 5-14. Still, surprisingly few youth sports leagues require the use of eye protection. Safety glasses, goggles, safety shields and the like can go a long way towards protecting your child’s eyes from injury. In fact, the AAO, estimates that more than 90 percent of children’s eye injuries could be prevented through the use of suitable protective eyewear. As a parent, you understand the importance of a healthy diet for your growing child, but you may not realize how much your child’s diet directly impacts their vision. Researchers have linked certain eye-friendly nutrients to reducing the risk of certain eye diseases. A diet that contributes to great eye health requires a blend of nutrients from a combination of foods. Fish like salmon, tuna and mackerel provide omega-3 fatty acids. Leafy greens provide high levels of lutein and zeaxanthin. Berries and citrus deliver invaluable Vitamin C to strengthen your child’s immune system. See our “8 Foods that Promote Eye Health” article for a complete list of recommendations. As summer gives way to fall, and the new school year is on the horizon, now is the perfect time to schedule your child’s comprehensive eye exam. At North Florida Cataract Specialists and Vision Care, our eye care professionals deliver the highest level of care in an environment that’s friendly and welcoming. Call us today at 352-373-4300 to schedule your appointment at one of our convenient locations.